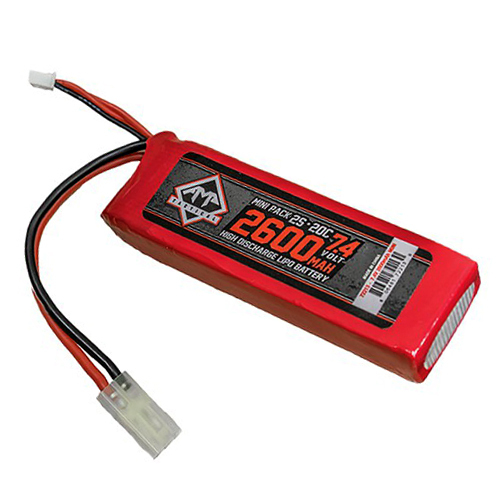 This battery is a 7.4v 2600MAH High Discharge LiPo Battery. It features a small tamiya connector. A perfect fit for any gun that fits a mini style battery. The 2600MAH ensures a long lasting charge.